My visit was quick and efficient; the doctor explained everything about the process very clearly. The time we spent talking to Dr Lewis today was very satisfying. He listened attentively, answered all my concerns and questions and made sure I understood everything he was telling me. We felt we had his undivided attention when we were consulting with him. He asked me to let him know if the regime he suggested was working for me , via email, and gave me assurance he would respond to that email within 24 hours. That would be wonderful. 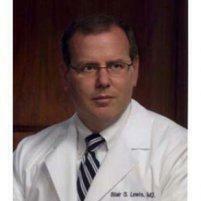 I've been a patient of Dr lewis's since 2000 and have recommended him to dozens of friends and family. He's extremely professional and kind and funny and makes an icky process very easy. Competent, friendly staff. Doctor put me at ease. Dr Lewis listened to my issues and responded be discussing treatments. He was kind and took time to clarify things. Didn't rush. Dr. Lewis in his humor made me feel comfortable , confident that he could help me in getting the task done with a colonoscopy . Understood all of the issues I have at this time , Told me what alternative I may have in the event I had a malignant polyp. Felt optimistic when I left his office even though this procedure may bring on bad news. Really nice person. I am all ready for my Colonoscopy. Awesome - right to the point, no B/S. My entire family goes to Dr. Lewis for all Gastro issues. Highly recommend. As always, Dr. Lewis is friendly, thorough and efficient. It was a wonderful and informative experience. 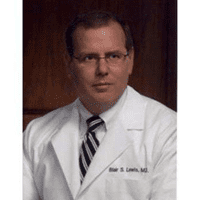 Dr Lewis is so professional and knowledgeable. He was very explicit about the problem I am having. I understand now and will certainly be following his advice. He took the time to explain everything to me and was very thorough. I have to follow up with him in two weeks. I am very happy, pleased and fortunate to have him as my dr.
Good instructional help for my problems. Glad to follow these instructions to see if simple changes will make things better, instead of rushing to more invasive means right away. A very empathetic doctor, making one feel thoroughly informed and comfortable. Highly recommend him.